+Tija de sillin Selcof (en lugar de la habitual NewUltimate de carbono). 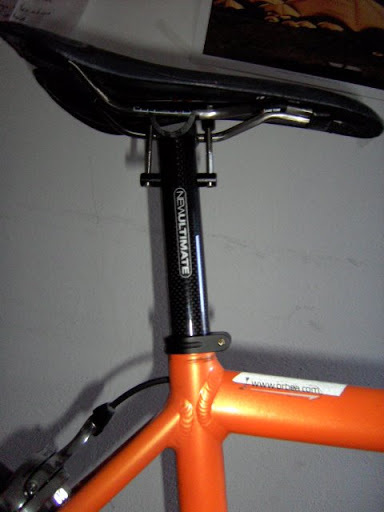 +Neumatico delantero Continental GP 4 seasons 23c. 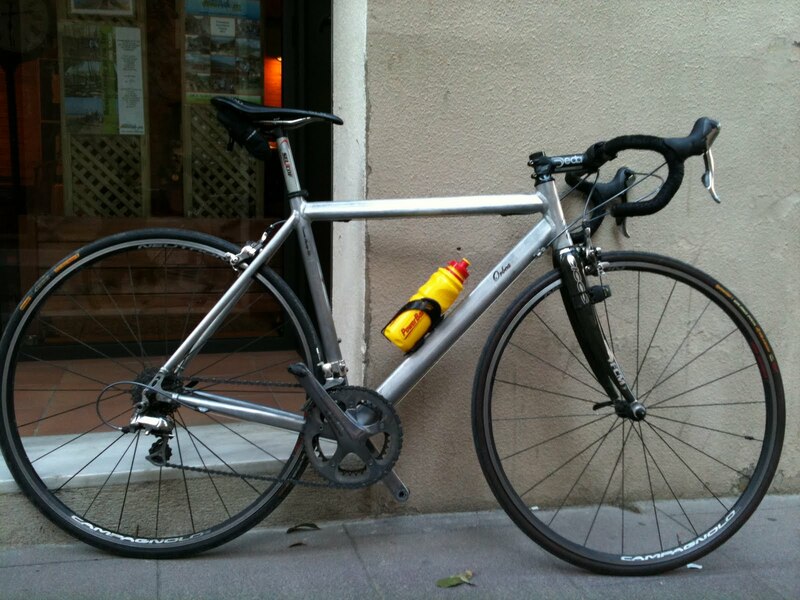 +Plato grande Shimano Dura-Ace 50t. Interesante previa de las clasicas adoquinadas de la mano de la gente de Pezcyclingnews. Prelims. The bike has been delivered to the crew of Terra Diversions who will transport the bikes to Brugge. Before, the bike was modified in order to adapt it to Tour of Flandes spirit. + Continental 4 Season front clincher. + Shimano Dura-Ace 50t outer ring. + Elite aluminium patao botlecage.